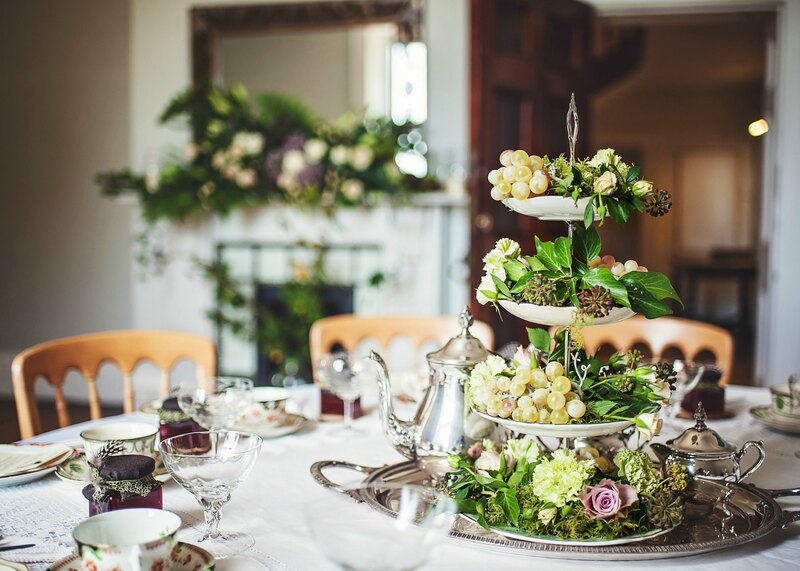 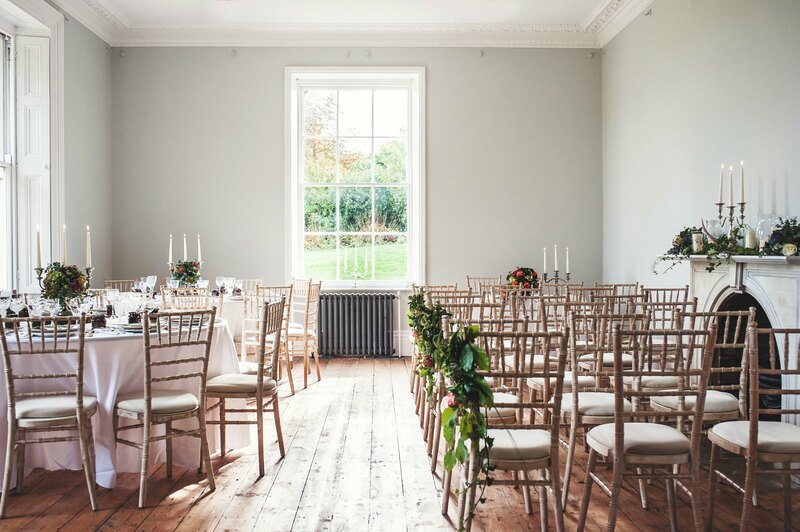 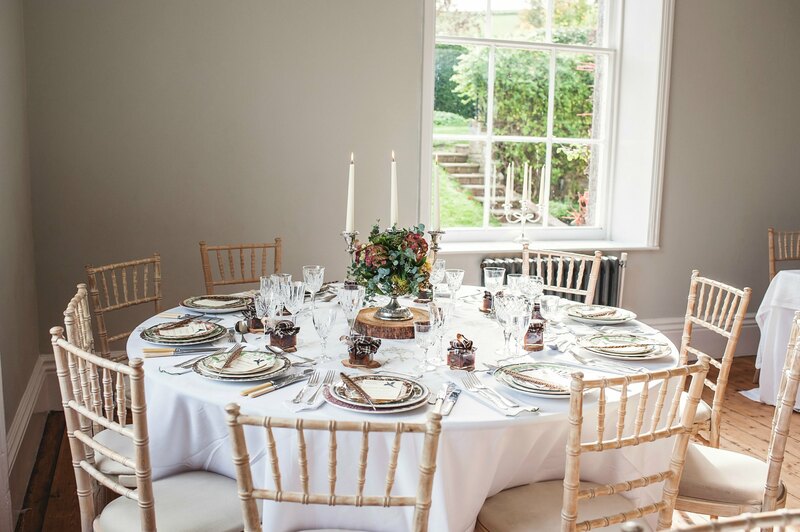 Our stunning events suite is comprised of the Library and the Drawing Room, two beautiful interconnecting rooms at the front of Knighton House in the very oldest part of the house, overlooking the front lawn and benefiting from far-reaching views of the Dorset countryside, unique to this Dorset wedding venue. 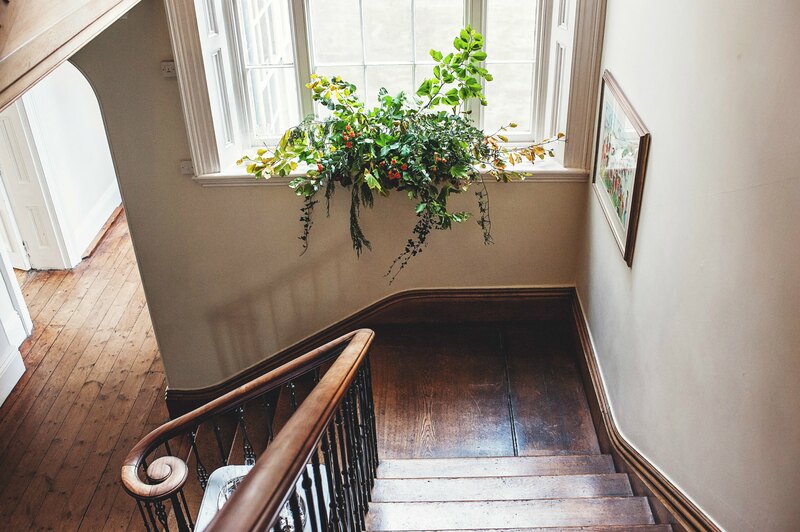 Each room has recently been lovingly and sympathetically restored to its former glory, with classic Georgian colour palates and a wealth of delightful period features including original wood flooring and an original fireplace in each room. 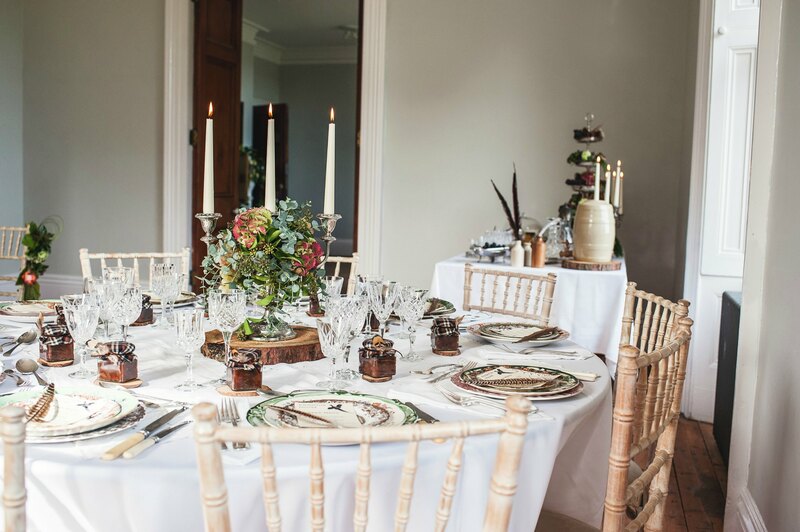 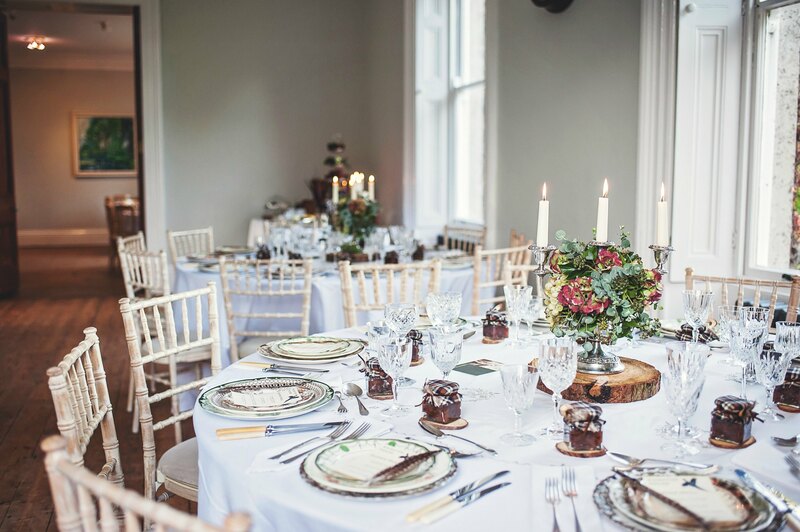 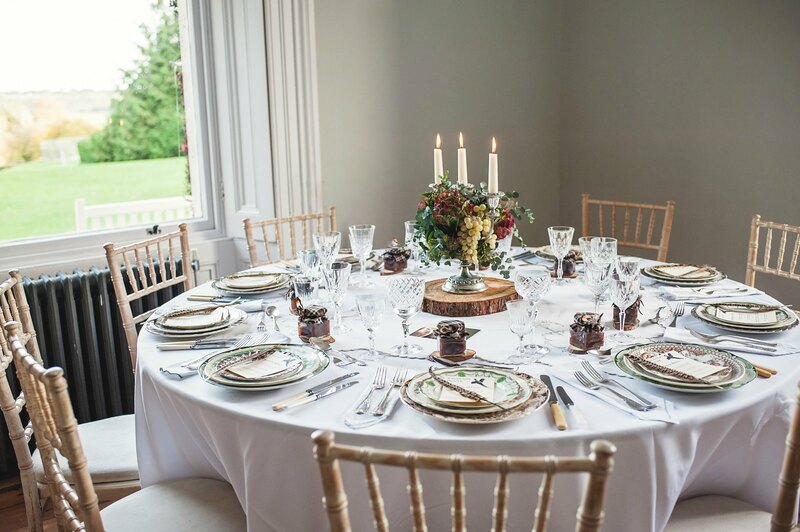 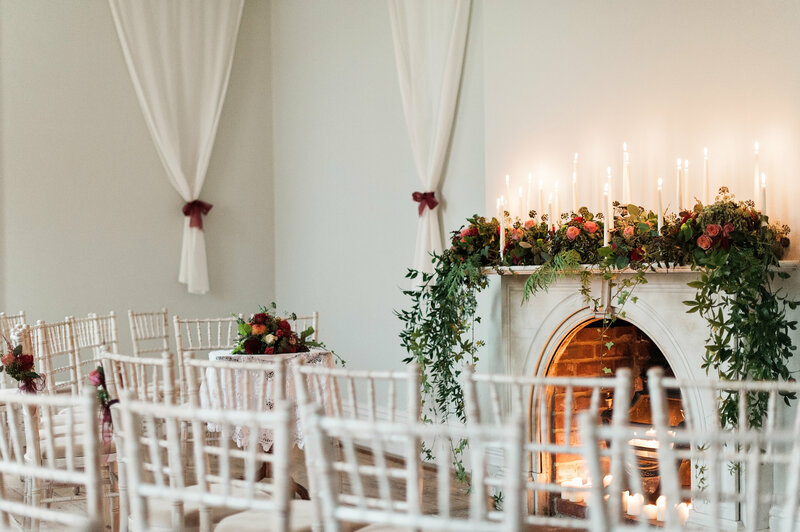 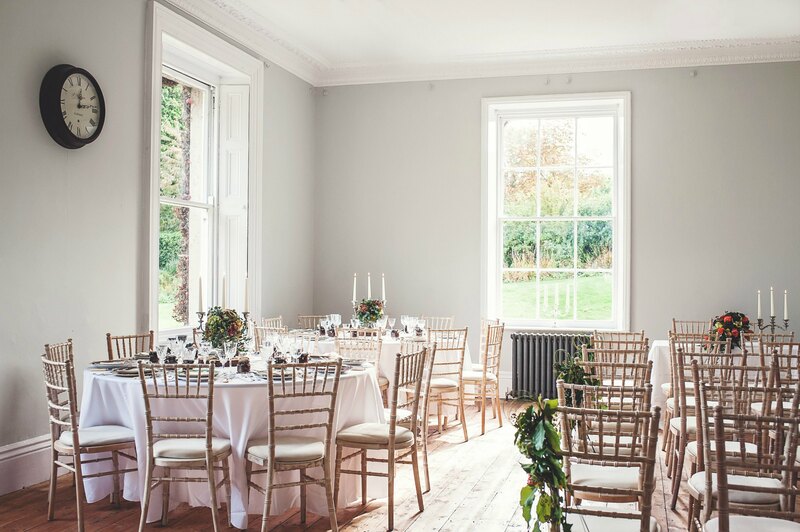 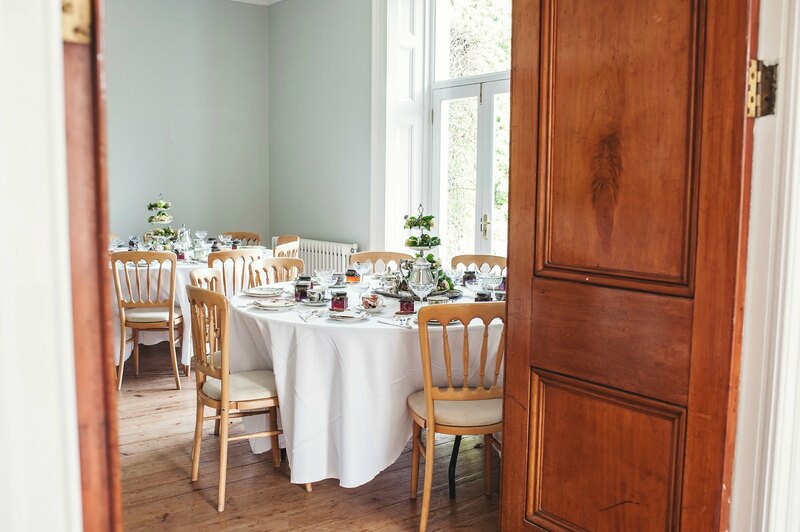 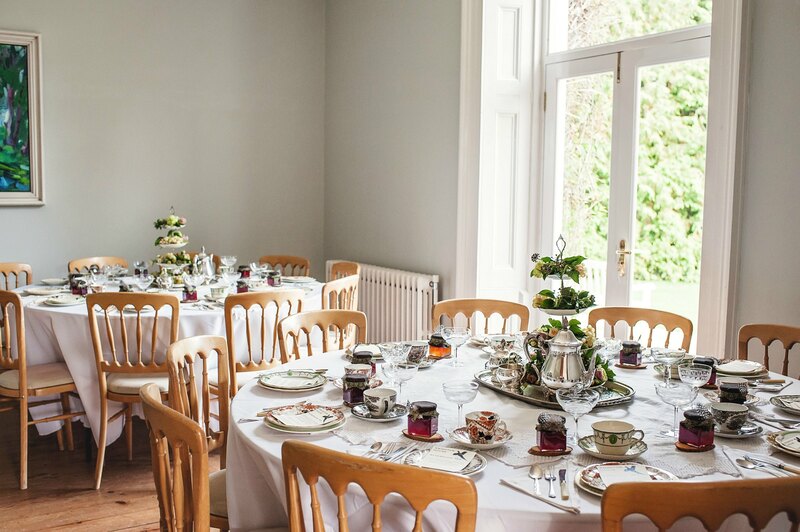 The two rooms are connected by large wooden doors which, when open, enable the suite to be used as one room accommodating up to a maximum of 90 guests for seated dining. 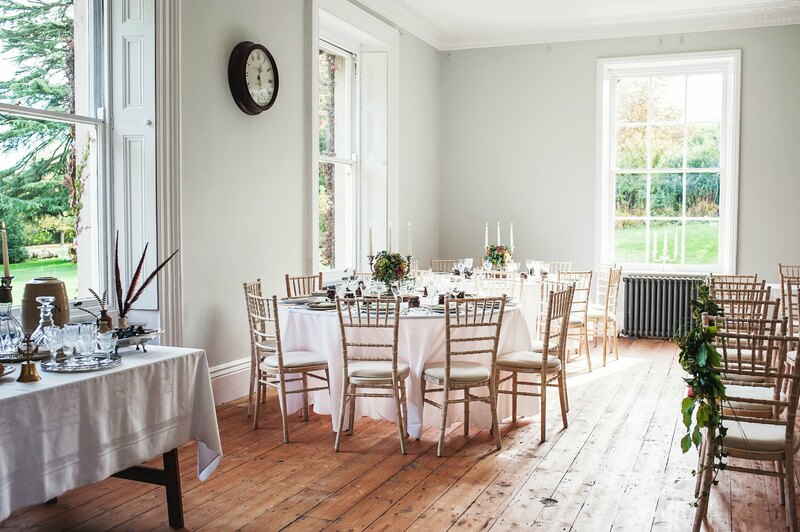 The large Drawing Room benefits from beautiful dual-aspect windows, which flood the room with natural light. 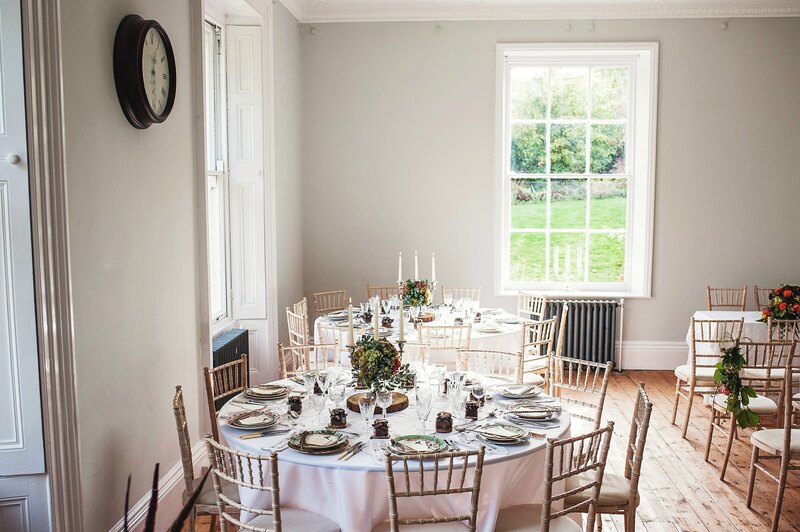 The smaller Library has French windows opening onto the wide garden terrace which runs along the front of the house and overlooks the lawns. 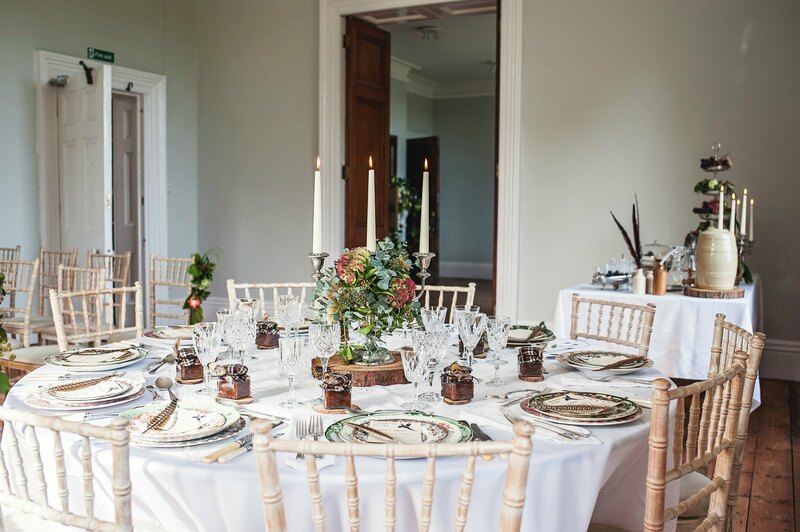 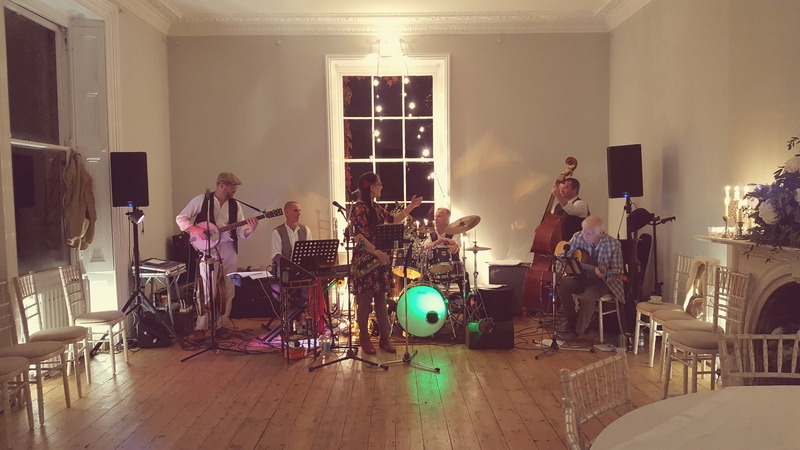 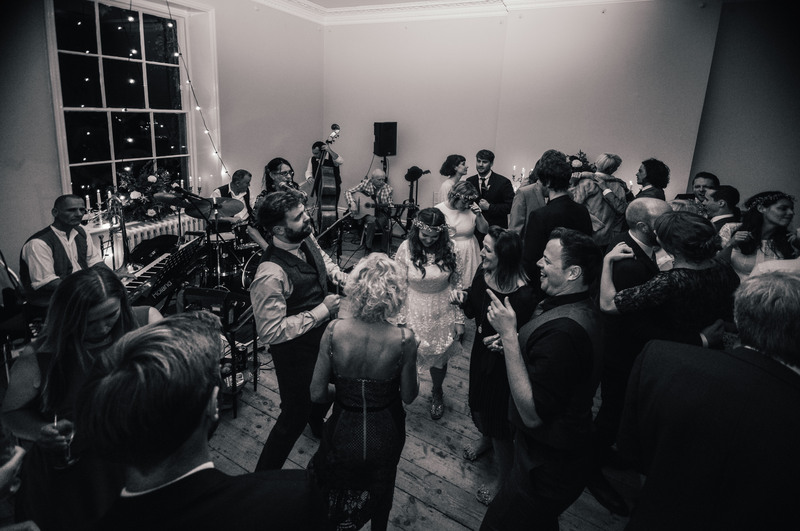 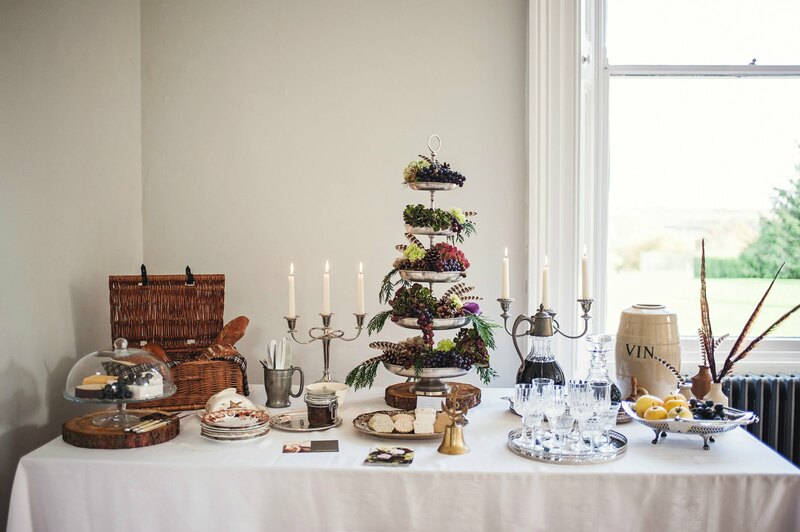 The Portman Suite presents an elegant and versatile space to host a wide variety of celebrations and events including drinks receptions, dinner parties, exhibitions, workshops and photo-shoots. 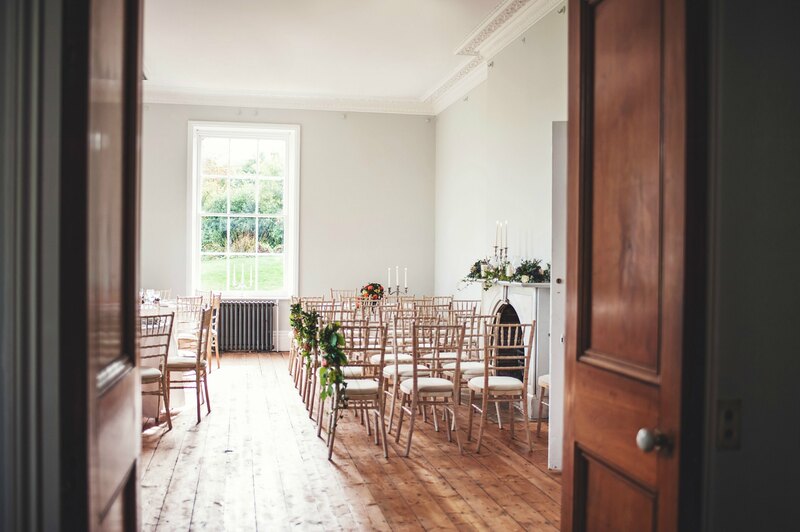 Both the Library and the Drawing Room are licenced for civil ceremonies. 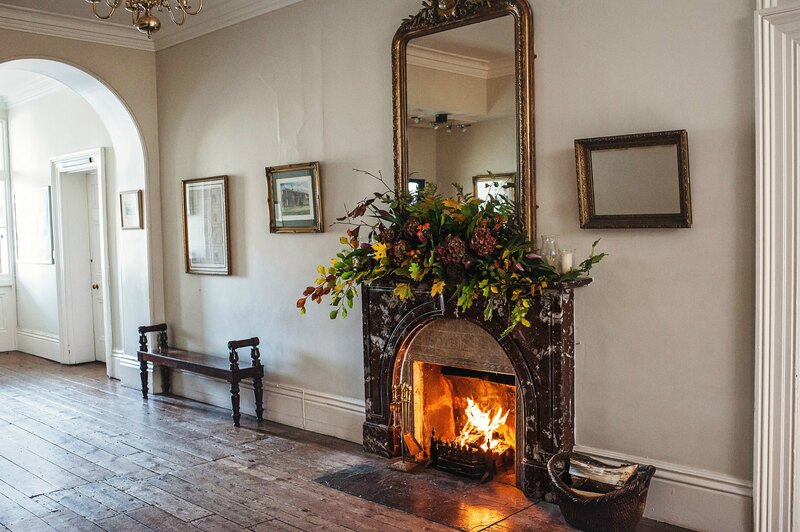 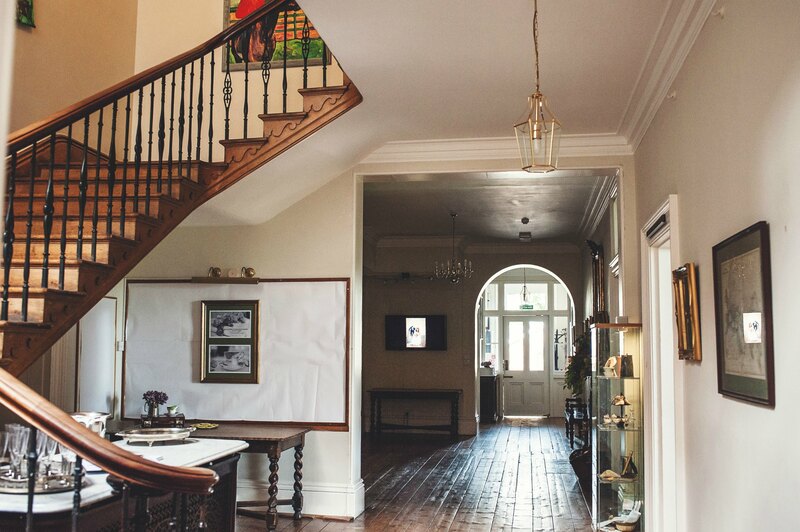 Upon entering the house you arrive in our beautiful, spacious Reception Hall complete with roaring log fire, sweeping wooden staircase and original wood flooring. 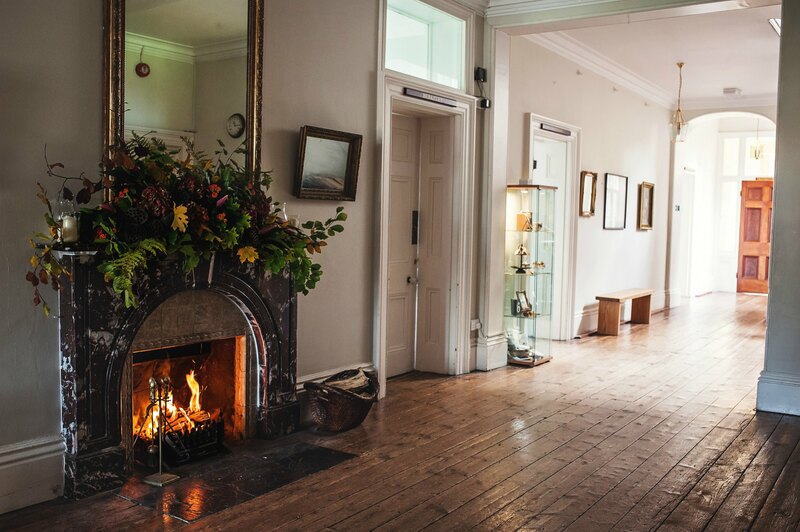 This large and versatile space can be used for a drinks reception, sitting area, evening buffet or break-out space. 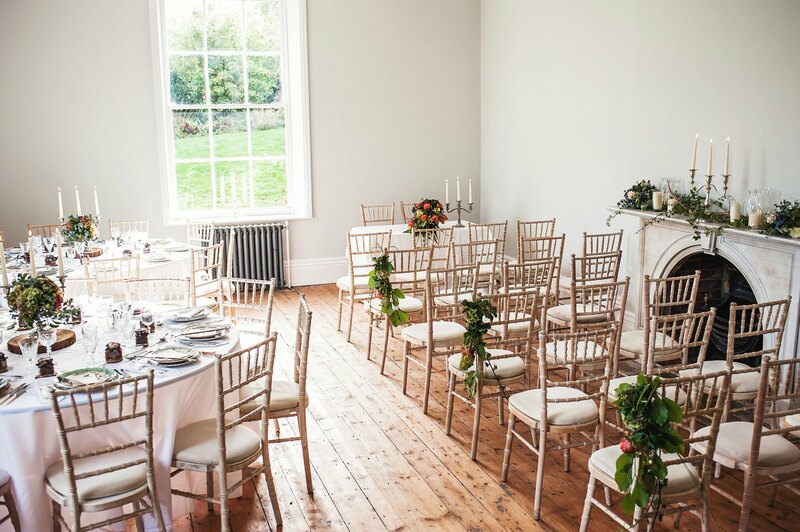 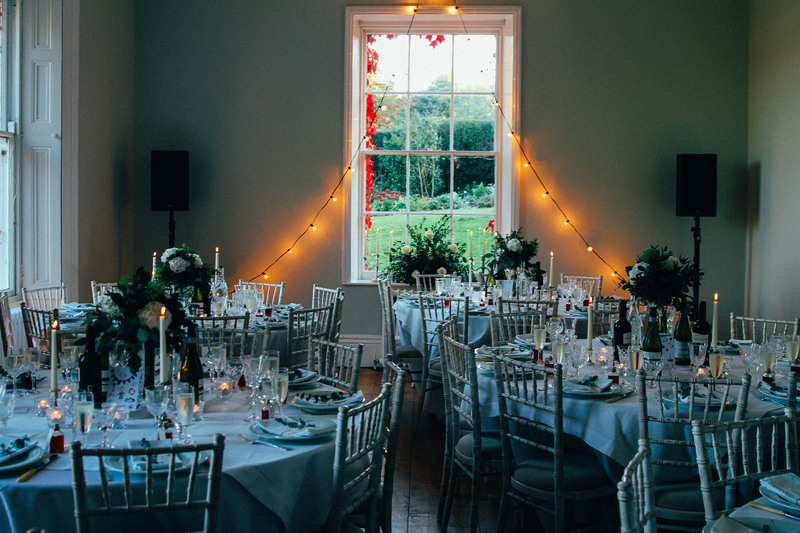 Our Reception Hall is also licenced for civil ceremonies. 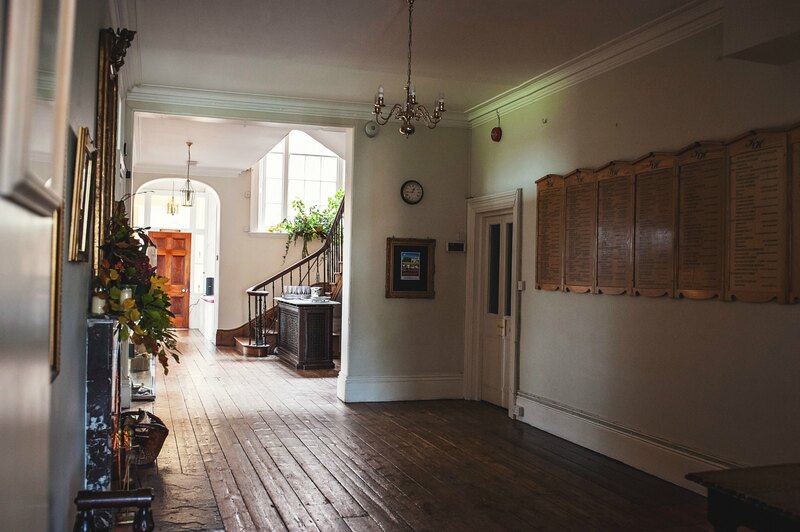 The front of the house also benefits from a cloakroom area and three toilets for use by guests.